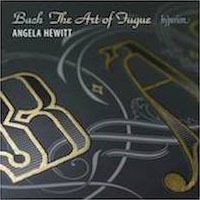 Angela’s much-awaited recording of Bach’s ultimate masterpiece, The Art of Fugue, is destined to be the crowning achievement of her Bach cycle for Hyperion. With decades of experience behind her, she breathes fresh air into the most complex keyboard-writing of Bach, bringing it to life with crystalline clarity and thoughtful sincerity. 2 CDs for the price of one.